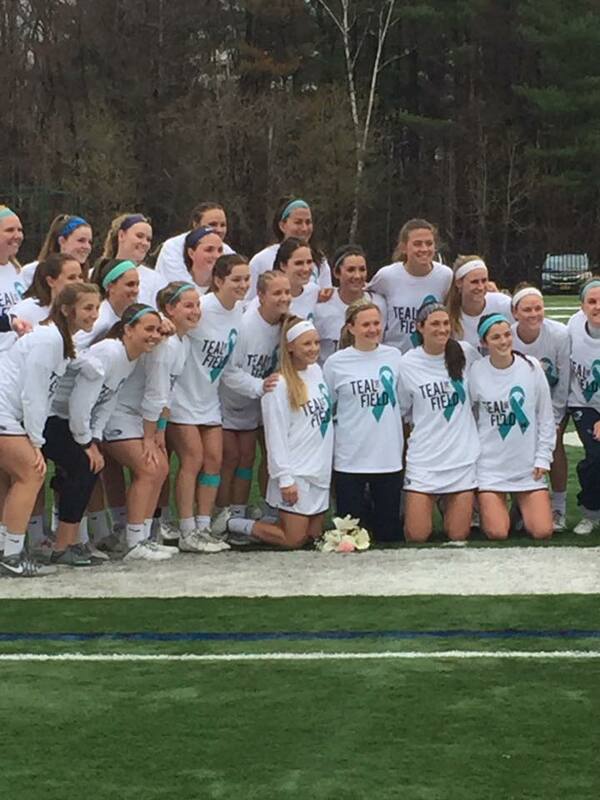 The Saint Anselm College women’s lacrosse team will once again host the annual “Teal the Field” game to support Ovations for the Cure of Ovarian Cancer and raise awareness of this disease in honor of former teammate Molly McGaffigan. The Hawks will be host to the New Haven Chargers for this game. Please join us on Saturday, April 27th, 2019 to show your support! World Trade Center Pier, 200 Seaport Boulevard, Boston, MA. Please join us as we once again “Cruise for a Cause”. This event was such a fun time that we have decided to do it again this year! 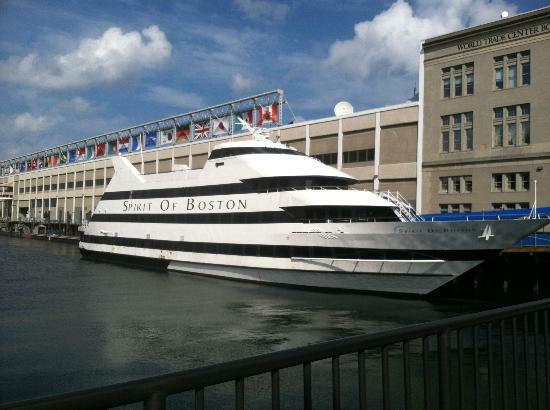 Relax and enjoy a delicious lunch aboard The Spirit of Boston. Have a blast on the dance floor or venture outside to the outdoor deck space and enjoy the games (life-sized Jenga, Shuffleboard, Connect Four and more)! Win some fun onboard raffles! There is no better way to see the beautiful Boston City Skyline than from the Harbor! Tickets also available via phone at 508-655-5412. For group seating, table reservations may be made by calling Susan at 508-655-5412. Please join us on our annual family friendly W.A.R. 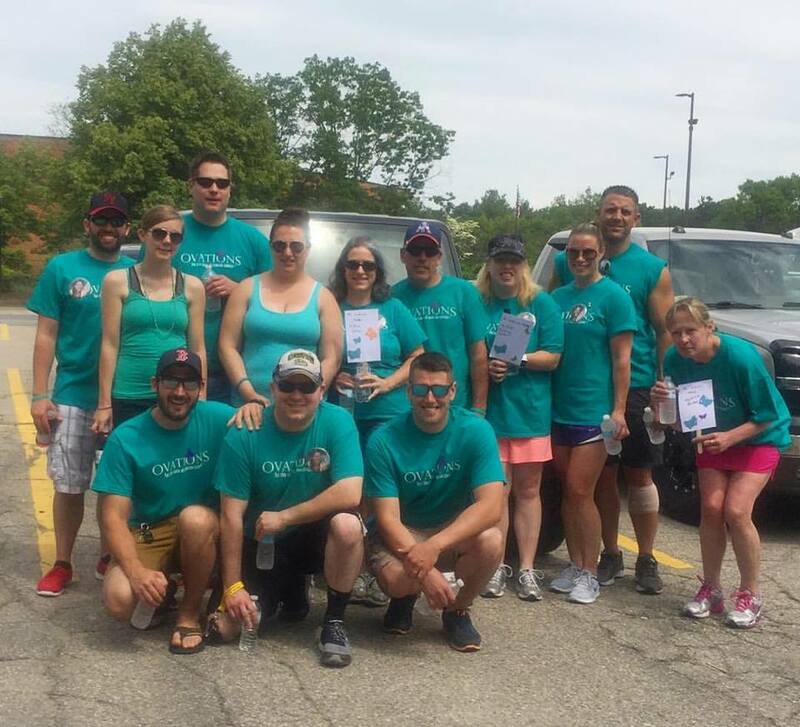 (Walk and Run) Against Ovarian Cancer on Sunday, June 9th. This will be a 5K/3 mile walk/run that people of all abilities can be a part of as there are only a few small hills. This is our MAJOR fundraiser that helps to support our mission of providing needed support to local women and their families dealing with an ovarian cancer diagnosis and continue our outreach to educate the public and raise more awareness about this horrible disease. 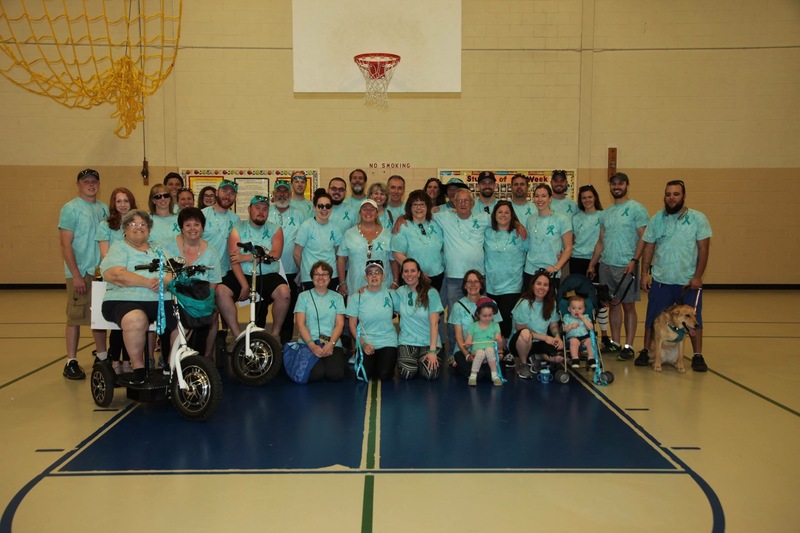 PLEASE BE A PART OF THIS MOVEMENT WITH US AS WE CREATE A “SEA OF TEAL” IN FRAMINGHAM – BECAUSE TOGETHER WE CAN MAKE A DIFFERENCE! Click here to register for W.A.R. Walk and Run Against Ovarian Cancer. Ovations invites everyone to join us on a family-friendly walk through Stanley Park located at 400 Western Avenue, Westfield, MA and afterwards, to join us at our First Annual Family Fun Day. There will be music, raffles, games and more fun than you can imagine!! This day will start with a 3 mile (5K) walk/run that people of all abilities can be a part of. We welcome leashed, well socialized, four-legged family members as well to join us in the fight against ovarian cancer. Parking is available at the Park. This year will be the 11th Annual Carol Hanf Memorial Golf Tournament in remembrance of Carol Hanf. Carol passed away 14 years ago from ovarian cancer, and her fighting spirit still lives in her family and friends, especially with her daughters Alyson and Ashley. Brookmeadow Country Club in Canton, MA will be providing us with a great course and excellent food to help commemorate her memory and give back to the community. Proceeds from this event will benefit Ovations for the Cure. 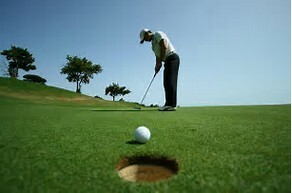 This year’s tournament will be a Florida style 8:30am Shotgun Start and include green fees, carts, cash bar and continental breakfast and lunch. There will be an awards banquet with charitable drawings and door prizes. Please click here to register and/or donate! The Learning for Living with Ovarion Cancer Symposium is a free forum hosted for ovarian cancer patients, care partners and those working directly with ovarian cancer patients where the most recent updates and information will be presented by medical experts in the field of gynecological oncology and treatment. 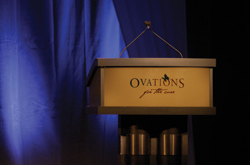 Each attendee is encouraged to bring a guest. Lunch is provided immediately afterwards. Valet parking is available at the hotel for a reduced rate. Speaker’s and Topics will be added shortly.